The Summer term is a particularly busy time as a lot of schools hire our services for a special ‘one off’ creative project. 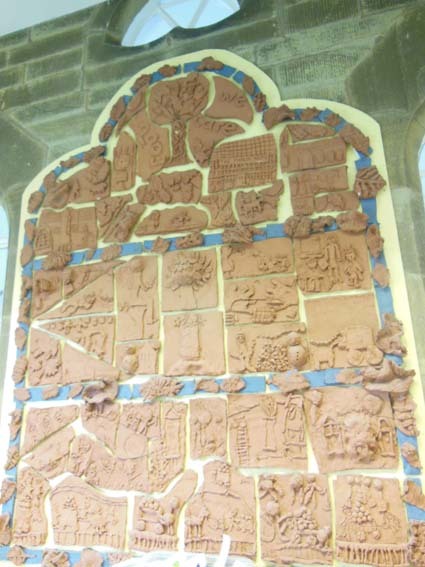 We’ve been facilitating clay workshops for schools in the Three Counties for the past 20 years and I reckon we’ve worked with at least 3/4 of the educational settings in Herefordshire, Worcestershire and Gloucestershire. It is always a pleasure to rekindle a relationship with a school we’ve worked with previously – we also get to see how the creative results have stood the test of time. 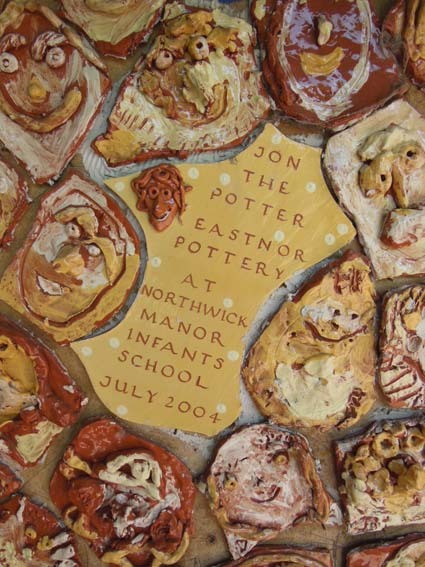 Even though the children who made the work have long since grown up, it’s always a delight to see past ceramic successes still on public display. Here’s a couple of tile panels we’ve come across in the last few weeks.